Are you looking for the best security suite for your computer or device? There are so many options that you might feel overwhelmed. Every security company brags about being the “best”, but not all of them can be. Some are more ideal for home users while others are better for small businesses and enterprises. The best security suite should be the one that best fits all of your specific needs and requirements. At the very minimum, you’ll need an anti-virus program. However, these days, that’s not enough for most users. Viruses aren’t the only problem home users and businesses alike have to worry about. There is ransomware, rootkits, phishing, hacking, and so forth. A lot of people recommend getting all-inclusive protection if you can afford to do so. Luckily, a lot of security companies are offering comprehensive security at a price most people can afford. There are promo codes and coupons available to help save on security products and subscription services. If you like to surf the web, you’ll definitely want some web protection. A web protection module will block sites with malicious content. It’s better to stop malware while it’s still in the browser than to allow it to reach your PC or mobile device. If you’re running a business, even a small one, you’ll want features such as Network Threat Protection, which will stop attacks immediately before they even begin. Anti-phishing tools are essential as well, as they help keep you and employees from falling for phishing scams. They block sites and emails that try to masquerade as trustworthy in order to steal financial data such as credit card numbers, customer information, passwords, etc. These types of hackers often target small businesses. Usability is another important factor when choosing the best security suite. The ideal security product should be easy to use, regardless of the user’s knowledge and skill level. You should be provided with the amount of control that you would be comfortable with. There should also be documentation that is easy to find, so that you’ll have access to all of the references and troubleshooting assistance you’ll need. Don’t forget about system requirements. You’ll need a security suite that will actually run smoothly and efficiently on whatever PC or device you set it up on. Most of the leading security products allow users to install it on multiple devices – usually three to five. The one you select should be compatible with all platforms you want it on, the browsers you use, and operating systems you are running. Bitdefender is considered by many to be the best security suite as it offers all of the benefits mentioned above. Bitdefender Internet Security is recommended for personal users and Total Security is ideal for businesses and professional users. You can get the best security suite at an affordable price if you use Bitdefender promo codes. This can easily be affordable if make use of internet coupons. Many people rate this security suite highly in Bitdefender reviews. 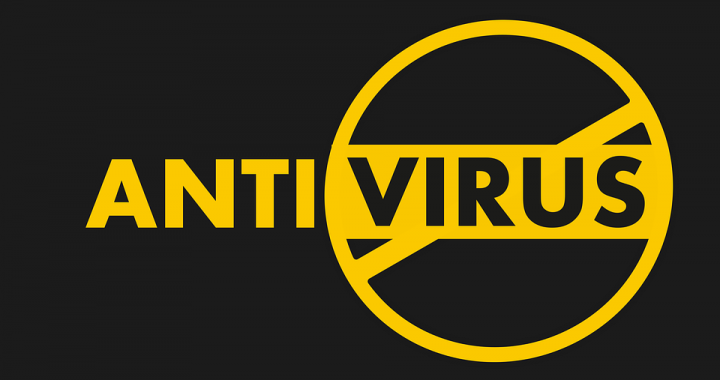 Best Antivirus for Mac Info – Do You Need an Antivirus Program for Your Mac? Which Should You Choose? It’s a myth that Macs don’t get viruses. While they’re not as targeted as much as Windows computers, they are still vulnerable to security threats. This is especially true for Mac used in business environments, and for individuals who are privy to a lot of private information. It’s not only viruses that could potentially be a threat; there are Trojans, spyware, ransomware, adware, phishing, and other dangerous wares. That said, what IS the best antivirus for Mac? You need to carefully consider which program to get because many of them have a bad reputation of low performance where Macs are concerned. Go with an antivirus that doesn’t have many system requirements. Even if your Mac machine is new and has all of the most powerful hardware, it’s still important that you choose a program that gets a lot of positive reviews for its performance. The best antivirus for Mac will be one that has won awards for its low impact on computer performance, such as from AV Comparatives, which is the best independent tester of security products. The program you choose should also be easy to download and setup. Installation should be as easy as clicking on a “Download” button and following a straightforward process. There should be a confirmation screen once the installation process is complete. It is highly recommended that you uninstall any other antivirus or security product from your Mac before trying a new one. Some programs are available as a free version and pro version. The free version is enough for most home Mac users, but business users might want to opt for a pro security suite that includes additional protection such as Wi-Fi security and ransomware shields. Many Mac users fall into the trap of believing that since there are no known viruses targeting them specifically, that they are safe from attacks. The problem with Mac OS and iOS is that they are loaded with applications, some of which are third party and have security issues that make them vulnerable to various attacks. Unfortunately, Mac malware is on the rise. There have been some huge threats in recent years, like the spyware FruitFly, Mac Sweeper (Scareware), KeRanger (ransomware), and so forth. There is also OSX.Proton, which is a still-active spyware that infects as an indirect Trojan (3rd party distributor). The best way to combat any type of threat is to be security-conscious and extremely careful in the first place. However, it helps to have a good security program. A free antivirus program will probably be enough if you are a private user and only need protection for one Mac. However, if you conduct business with your Mac, even if it’s with Windows users, you might want to go all the way with the pro version. What is the best antivirus for Mac? The best program to consider, whether you want a free version or pro, is Avast for Mac. It’s won numerous awards and is highly rated by many users. You can try it for free – Avast for Mac is available as a free antivirus. However, if you want the best antivirus for Mac, you might want to upgrade to the pro version. Just use Avast Security promo codes to help you save a lot of money. A virtual private network gives internet users the opportunity to have a secure connection between a server and device, such as a tablet or computer. In order to get this kind of security, you must invest in a service, such as Kaspersky VPN. This program offers protection from malware, viruses, phishing, and any other type of cyber threat. Kaspsersky Lab is an international cyber-security firm that is well-known for its cyber security software, and its VPN service is very reliable. Pay either annually or per month for a subscription, which covers up to five devices. You’ll save money if you opt for the annual subscription. There is also a free option, although it’s limited. With a free account you’ll only get a 200MB per day data allowance. Whether you’re shopping, doing online banking, video streaming, conducting research, or on social media, you want to make sure that hackers can never see what you are doing. A lot of people don’t like their ISP spying on them, either. This is why VPNs are becoming more and more popular. All data you send and receive should be done so through a secure, encrypted channel. Your IP address and location should never be revealed. With the paid subscription of Kaspersky VPN, you get a huge range of countries to choose from for your virtual server. With the free account, the country is automatically selected for you. What about compatibility? This Secure Connection solution can be used on both desktop and mobile devices as it supports various operating systems. These include all Windows versions (XP to 10), Android 4.1 and up, and Mac OS x 10.11 and up. Why choose this VPN service over so many others? For starters, it allows P2P traffic. This isn’t something that a lot of other virtual private network solutions are capable of. Also, you can trust that none of your activity logs will be kept. Everything sent through the network traffic is secure and encrypted via OpenVPN protocol. OpenVPN is among the most trusted protocols available for VPN solutions. As its name suggests, it uses open source code. Kaspersky VPN has a user-friendly interface. The Windows Client Menu features eight items: Subscription, Statistics, Settings, Support, Learn More, About, My Kaspersky, and Help. Everything is self-explanatory and you shouldn’t have any problems learning to use the software. The amount of control you have over the settings depends on whether or not you’re using the program for free or with a paid membership. Overall, Kaspersky VPN is a great choice for anybody who needs a secure connection. The subscription options are very affordable, whether you opt for the monthly payment plan or annual payment plan. Many people are saving money on security products by using Kaspersky coupons. They are a great way to get a good deal on not only Kaspersky VPN services, but other products as well. You can protect your computer and mobile devices without having to spend much money. For those who don’t have it already, it’s time to invest in Bitdefender Internet Security 2019. It’s rated highly by users who consider it to be the best line of defense against threats on Windows computers. It protects with no drag on your computer’s resources. While there are tons of options out there for PC security against hackers and nasty malware, Bitdefender is the one company that has made a name for itself. Users get total real-time data protection against all threats: viruses, Trojans and worms, zero-day exploits, ransomware, spyware, rootkits, and so forth. One highly sophisticated feature is the Rescue Mode, which removes viruses before they can cause harm by rebooting the PC in Rescue Mode and cleaning everything up. Bitdefender offers a multi-layer ransomware solution. All pictures, documents, music, videos, and other files are safeguarded against any type of ransomware. The Safe Files function prevents unauthorized changes to important files. The user can add folders to the “watch list”, and the Safe Files tool guards them. The Photon technology is highly innovative and helps the program adapt to the software and hardware configurations of a system in order to save computing resources. Laptop users can take advantage of the “battery mode”, as it temporarily tweaks some of the system settings such as Bluetooth connectivity and the display in order to run efficiently without taking up too many resources. Bitdefender Internet Security takes care of all privacy needs with its Wi-Fi Security Advisor, Parental Controls, VPN network, Password manager, etc. The File Shredder is a useful tool that eliminates files forever, without leaving any trace that they ever existed. Social Network Protection protects against potential risks associated with social media, such as malicious links. The new firewall is completely redesigned for better usability and management of tools. Users can change the rules for various functions, including the network, traffic, protocol, access, ports, and IP. It works well in conjunction with Microsoft Windows security to create an extra layer of protection against all types of threats, from malware to hacking. One of the best things about Bitdefender Internet Security is that it offers 24/7 live support via telephone and chat. The site also maintains a huge knowledgebase where everyone can find answers to common questions. One, two, and three year subscription plans are available for up to three devices. This security suite is a must-have for home computer networks. Use Bitdefender Internet Security promo codes to help you get it for up to three devices at a price you can afford. Protect your PCs from all types of threats. Avast SafeZone Browser Overview – What Security Features Come with the New Secure Browser? The Avast SafeZone Browser is now part of the more advanced Secure Browser, which is built on the latest, most advanced version of Chrome. All of the main SafeZone functionalities are still featured in the Secure Browser, along with a Security & Privacy Center. One of the main reasons why people switch from their current browsers to this secure browser is for speed. Everybody loves the fast browsing experience. You can expect web pages to load up to 4x faster than what they would in a “normal” browser. There is a high level of security and privacy. This browser comes with a suite of tools such as Bank Mode and HTTPS encryption. When you open up the Security & Privacy Center, you’ll be able to select which tools you want to use. You can configure Avast SafeZone Browser to suit your personal security preferences. Bank Mode is very useful as it opens an isolated session that allows you to do banking and shopping in a 100% safe, secure area. The HTTPS Encryption feature forces any website you visit to only use HTTPS encryption. However, it might not help if the site lacks its own SSL certificate. Don’t want to give up your current browser? Avast is designed to work efficiently and easily alongside other popular browsers. Avast allows you to import all of your bookmarks and saved passwords via the Bookmarks and Data Section of the Settings, which can be found under the menu icon. Avast SafeZone is compatible with most Windows OS all the way back to XP and Vista. It runs on Home, Professional, and Enterprise Editions smoothly. Is Avast SafeZone Browser for you? If you want a faster surfing experience and superior protection, then it’s definitely for you. It provides you with a private virtual space and keeps spyware and keyloggers away. Even if you mostly use the internet for entertainment and not shopping / banking, there is still the possibility of running into malware and viruses. The built-in video downloader ensures that you can download videos safely without having to worry about viruses. After you already have Avast SafeZone Browser, it should automatically update to the new Secure Browser, which comes with all of the extra features and tools. If you don’t already have it, you can get it when you install any Avast Antivirus Product. If you are interested in getting the Avast SafeZone browser, you’ll need to first get some Avast coupons and buy one of the company’s great cyber security products. With coupons and promo codes, you shouldn’t have to spend much money at all. Have a safe, secure browsing experience with Avast SafeZone Browser tools. It’s a fact that kids are often more tech-savvy than their parents are, but that doesn’t mean you can’t protect yours with the right set of parental control tools. Most computer security programs these days offer tools to help parents monitor what their kids are doing online, whether they’re at home using the PC or out with friends on their mobile phones. The reason why Bitdefender Parental Control (part of the Family Pack) is a great choice is because you can use it for an unlimited number of devices. It allows you to create a profile for each child right from its online console. Since it works on iOS devices, Android, macOS, and Windows, you can keep an eye on your kids wherever and whenever they have a internet connection. The program can block access to websites in over 40 categories. Many websites are blocked by default depending on the child’s age. However, you can go through and manually block or unblock them as you see fit. Another useful feature is to set screen time limits for each child on their devices. This feature is not set by default so you’ll have to turn it on. Enter the bedtime and the access to the mobile device and computer will be blocked or limited for the number of hours you set. You can also restrict the amount of time each kid spends on his/her devices and computers throughout the day. On Android devices, there are helpful features such as App Lock, Privacy Advisor, and Anti-Theft. All of these help keep your child protected from any type of threat, including hackers and malicious files. If you are concerned about who is trying to talk to your kids, you can take advantage of the mobile features of Bitdefender Parental Control. Set it up so that only trusted contacts are able to call and text your kids. Block all incoming calls from sources with no Caller ID. GPS tracking allows you to always know where your kids are when they have their mobile device on them. The Family Pack 2019 is available in one-year, two-year, and three-year subscriptions. Bitdefender Parental Control and all of the other tools are essential to family security. Get this security suite and other products by using Bitdefender promotional codes. You really can protect your children from cyber threats without having to spend a fortune. The user interface is intuitive. The Bitdefender Parental Control features are easy and straightforward. If you want the best internet security money can buy, one product you’ll really want to consider is Kaspersky Internet Security. In 50+ independent reviews and tests, Kaspersky Lab placed first. You really can’t go wrong with this level of security. It’s designed to fight all types of threats, including phishing, viruses, ransomware, and so forth. All of your information is kept secure and the risk of identity theft is reduced significantly thanks to the personal firewall that works well with Windows. If there are any vulnerabilities in your system, such as out-of-date software, Kaspersky will detect them. These days, such a vulnerability could potentially lead to a hacker trying to break into your system. You don’t have to use it with Windows, either, as the technology is compatible with other operating systems like Android and Mac. There are different subscriptions to choose from, including one-year, two-year, and three-years for three to five devices. One interesting feature of Kaspersky Internet Security is its virtual keyboard. This can be used to prevent key-loggers from monitoring you when you type on a physical keyboard. A virtual keyboard means that you can enter private data such as credit card numbers and login information without hackers trying to monitor you. A lot of people find it useful to access more content and websites from other regions. If you ever become frustrated because you are blocked from accessing certain content, Kaspersky offers privacy features that will help you bypass such restrictions. Everybody enjoys online shopping, but there are often risks involved – especially if you don’t have adequate protection. Another good thing about this Internet Security suite is that it offers protection for cyber transactions. Whether you’re paying bills or making purchases, your financial information will be safeguarded. Being able to protect your children from online dangers is paramount. You don’t want them to come across anything they’re not supposed to see. They could wind up downloading a virus by accident. In a worst case scenario, you and your family could be spied upon. This is why Kaspersky Internet Security offers parental controls and webcam protections. You can set the controls to block potentially problematic material and limit your children’s computer time. Access to the webcam is blocked for applications that are considered “Untrusted” or “High restricted”. If an application that does not fall under these labels tries to access the webcam, you will be notified and Kaspersky will request permission to allow access for the app. However, these settings can be configured. You, the user, will have the ability to configure applications’ rights to block or allow access to your webcam. Since there are different subscription plans available, look over Kaspersky Internet Security options to decide which plan is right for your family. You can tell that this is a popular product by reading all of the Kaspersky Internet Security reviews. Get a good deal on it by ordering it online and use Kaspersky coupons. It’s a very reliable company when it comes to internet security and protection. Best Computer Protection Software Recommendation – Why Use Avast Internet Security? Internet viruses and malware have become stronger than ever before. They can penetrate through just about any electronic. In a worst case scenario, a hacker will steal your identity or threaten you with ransomware. If you run a business, the stakes are even higher since you have business finances and customer details to worry about. Only the most reliable and best computer protection software will keep such threats away from your PC. How do you know which program will offer you the most protection? All-inclusive protection is a must. A regular antivirus program isn’t enough anymore. It’s good to have a security product that protects everything you do on the internet. The more layers of security a program offers, the better. Viruses, worms, Trojans, malware, etc. should all be detected and blocked before they are able to do any harm. Automated security scanning is also an important consideration. Since you can’t individually scan every last file that you upload and download, the security program you select should be able to scan them automatically. However, if you do want to manually scan a specific file for any reason, you should be able to do that as well. You need real-time protection. All possible threats should be detected and blocked before they can do any damage. It’s helpful to have a spam message blocker as well, such as the one offered by Avast Internet Security, since it’s not uncommon or malware to be spread via spam email and social media messages. Keep harmful attachments away from your inbox. These days, most people have home internet networks. Not many people realize that their Wi-Fi network could be vulnerable to threats. Sometimes a password isn’t enough to secure a home or small business network. A Wi-Fi Inspector that automatically detects weaknesses in a wireless network is a nice feature in the best computer protection software. Keep nosy neighbors and hackers away from your internet. Of course, it’s nice to have an antivirus and malware program that is easy to use, regardless of whether you’re inexperienced or highly knowledgeable. The best computer protection software will have a great reputation. In Avast Internet Security reviews, most users praise the product and give it a high rating. You’ll find plenty of coupons on Avast products to help online shoppers save. Start looking over Avast Security promo codes and other discounts on the best computer protection software – there are really good deals available. There has been a decline in internet privacy here lately, and most internet users feel the need to protect themselves when going online. The one way you can do this without spending much money is to take look for a NordVPN deal. This virtual private network provider allows users to encrypt their internet traffic and mask their identities online by connecting to a server elsewhere and masking their IP address; not even their own ISP can watch what they are doing. While there are a lot of VPN service providers out there, none work as nicely as NordVPN. It’s also affordable, so you should definitely consider using its services. Its pricing is very reasonable and it allows a number of different payment options, including crypto-currency. You can choose the one-month plan, six-month plan, or one-year plan. Regardless of which plan you select, you get access to nearly 5,000 servers around the world, and can connect up to six devices at once! How, exactly does a VPN work? It redirects your web traffic through a remote server (one of the 5,000) and hides your IP address. All of the information that is received or sent out is encrypted so that it cannot be tracked. It all travels through an encrypted tunnel to ensure that nobody can view or steal your information. You won’t ever have to worry about being spied upon, and all of your private information will be kept safe from hackers and identity thieves. Not all providers of virtual private networks are equal. Some only have a few servers for you to choose from and don’t offer very fast connections at all. This is why you should consider a NordVPN deal – it has the most to offer at a reasonable price. You get the biggest discount off of the base price if you go with the one-year subscription plan. However, some people still prefer the one-month or six-month subscription plan because they don’t want to make one large payment (even if it is discounted).If you’re lucky, you can sometimes find NordVPN promo codes on third party sites. Just click on the offer to learn more and activate it. Perhaps the best NordVPN deal is its extensive money back guarantee period. Other providers might only give a 7-day money back guarantee, but this company gives out a full 3-day money back guarantee. There really is no reason NOT to try NordVPN – it offers the best virtual private networks at an affordable price with the best benefits. Look over a NordVPN deal or two as well as some coupon codes. There are some really great deals right now. A virtual private network is worth investing in – especially if privacy is important to you. Many people consider NordVPN to be the best option. It’s important to have a PC security suite that is easy to install and integrates seamlessly with your PC, whether you need it for home or business purposes. New malware and other threats are created everyday and hackers are growing more sophisticated. Luckily, there are very helpful programs available to protect computers and internet networks. For a lot of people – business users especially – a traditional antivirus suite isn’t enough. There are a variety of ways in which a computer can be attacked, from phishing to rootkits. Comprehensive protection is ideal. Just receive protection from all possible harm with a single security suite that shields your computer and safeguards your online activities. It doesn’t take very long for malware to infect a computer, and inadequate antivirus programs aren’t guaranteed to stop it. Go with a PC security program that utilizes behavior blockers, which are capable of sniffing out patterns of malicious behavior and intercepting dangerous programs before they are able to make changes to your system. If you have a laptop and travel a lot, a VPN is probably a feature you need. 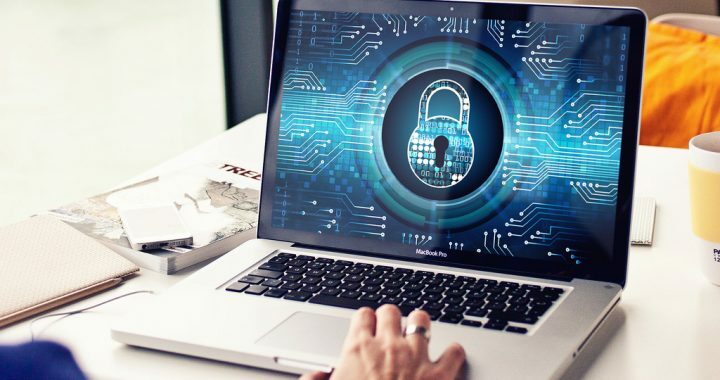 The ability to connect to a Virtual Private Network is a feature offered by some of the best PC security suites. This will ensure that you are kept safe on the internet whenever you’re connected to a Wi-Fi network. Another important feature is system impact. This is something to consider if you have an older PC or budget computer that isn’t very powerful. A computer protection program is going to be sort of useless if you can’t even do anything on the PC. If a product takes up too many resources and makes your system crawl slowly, it’s just a waste of money. Be sure to use a program doesn’t take up much of your system resources. It should run quietly, yet effectively, in the background. You may or may not need a full version of a PC security program, depending on your particular requirements. For instance, some suites come with parental controls and blockers, which will be a waste of money if you don’t even have kids. Also, a full version of business software might not be required if you just need protection for a small, private office. One of the biggest names in security over the last few decades has been Norton. There are a dozen plans to choose from, including Norton Business, Home & Family, Norton Mobile protection, etc. Its PC security tools are among the best. No matter which product is right for your needs, you can always expect excellent customer service with Norton. You’ll be amazed at all the wonderful PC security promo codes you’ll find online. There has never been a better time to invest in a good computer protection plan. Just look over Norton coupons and start comparing the products and pricing.